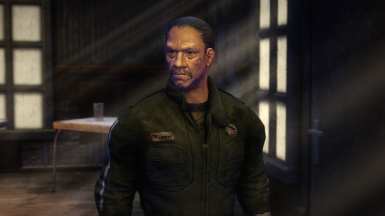 This mod changes everyone's favorite ghoul companion into his voice actor, Danny Trejo. 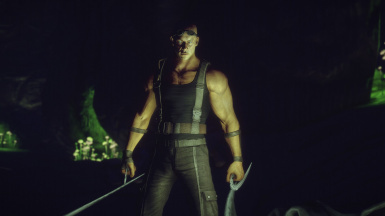 This mod adds Riddick as a playable race with 8 custom armors, new weapons, and new enemies. 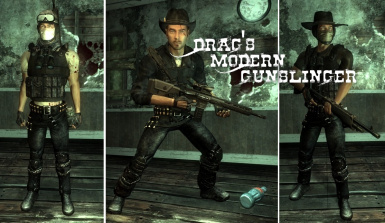 This mod builds on cirosan's companion mod and animates Ulysses' original head mesh--complete with lip files. 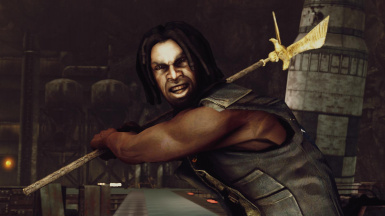 Become The Road Warrior! 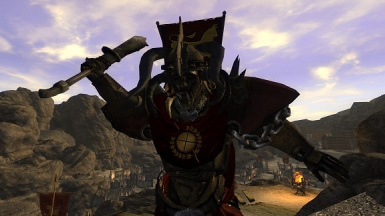 This mod adds a new playable race and accompanying armor. 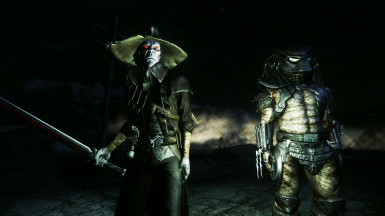 Adds Chakan and his armor for you to find in Goodsprings. 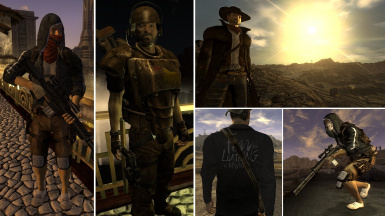 Adds several variations of a new armor set designed for the slightly casual and definitely stylish male or female Courier. Adds some attire that will cover up those ugly neck and wrist seams. 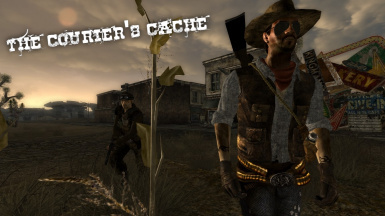 Located in a sack behind the Mojave Express dropbox in--where else?--Goodsprings. Suggestions welcome! 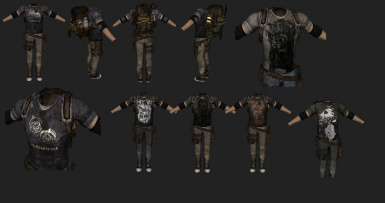 Adds new textures for you to use in diversifying the faces on your fiends and raiders. 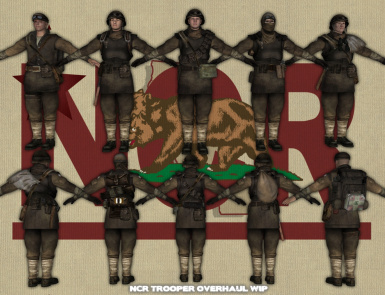 Revamps the NCR troopers. Completely functional, but still a WIP. 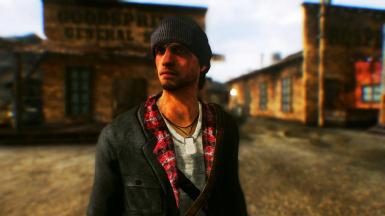 Check back for updates. 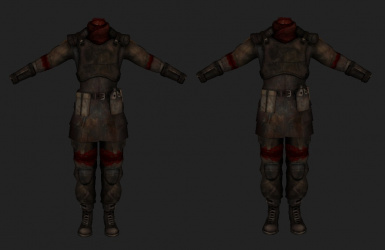 A male and female version of Boone's second unlockable armor that is better prepared for the player. 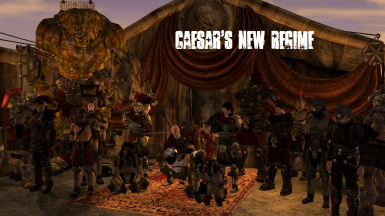 NOW WITH SUPPORT FOR FEMALES and all male body types. 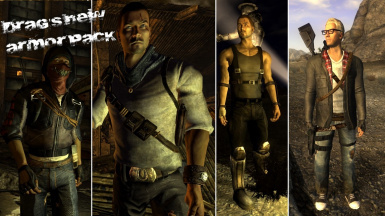 This mod adds three unique armors and five headgears. 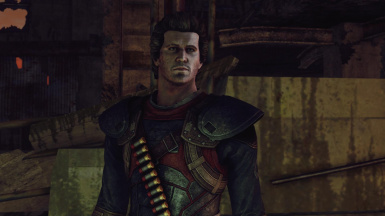 Relatively lore-friendly and balanced. 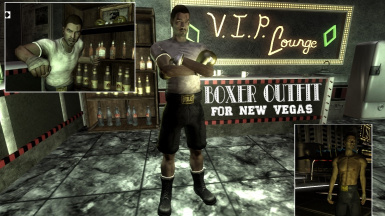 Adds a two unique modern-ish boxing outfits to the Lucky 38 near the Golden Gloves.